​Newcastle United have confirmed that Algerian midfielder Mehdi Abeid has officially left the club, signing for Panathinaikos for an undisclosed fee believed to be in the region of £1.5m. Abeid, who spent the 2013/14 campaign on loan with Panathinaikos, had already arrived in Athens at the start of this week to undergo a routine medical examination and put the finishing touches on the transfer. The 23-year-old's permanent departure brings a four-year long association with Newcastle to a close. Abeid first joined the club from Lens' youth ranks in 2011, making two first-team appearances in his debut season in England. He also started the 2012/13 on the fringes of the senior squad, before joining Scottish Premier League side, St Johnstone, on loan in January. After his time in Greece, during which time he scored 10 goals for Panathinaikos in all competitions, Abeid returned to Tyneside in time for the 2014/15. He made 13 Premier League appearances and three more in other competitions. However, injury hampered the player's season after he suffered a fractured toe in November, while the expensive summer arrival of Georginio Wijnaldum and the revival of Vurnon Anita under Steve McClaren further blocked his route back into the team. 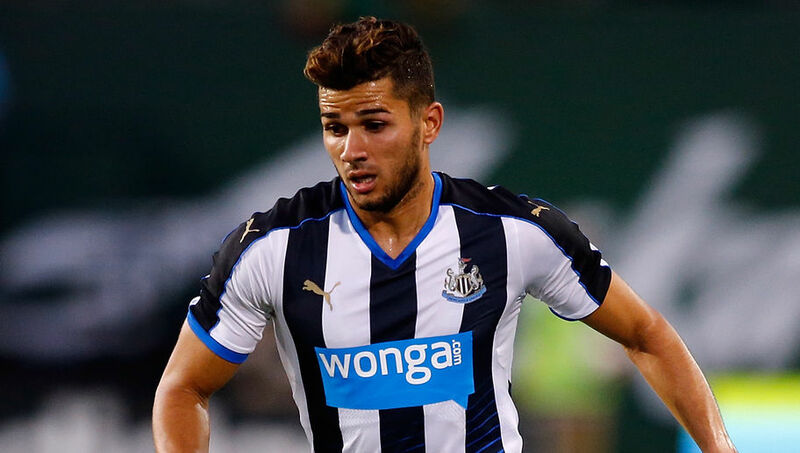 A Magpies statement read, "Abeid leaves St. James' Park with the club's best wishes for his future at Panathinaikos." A Newcastle squad without Abeid travel south to face Manchester United at Old Trafford on Saturday, still looking for a first Premier League win of the McClaren era. If the Magpies are to get a positive result, they will most likely need to do it without influential midfielder Moussa Sissoko, who is struggling to overcome the groin injury that forced him off at half-time in the defeat to Swansea a week ago. Daryl Janmaat will also miss the trip following his naive red card in the same game.